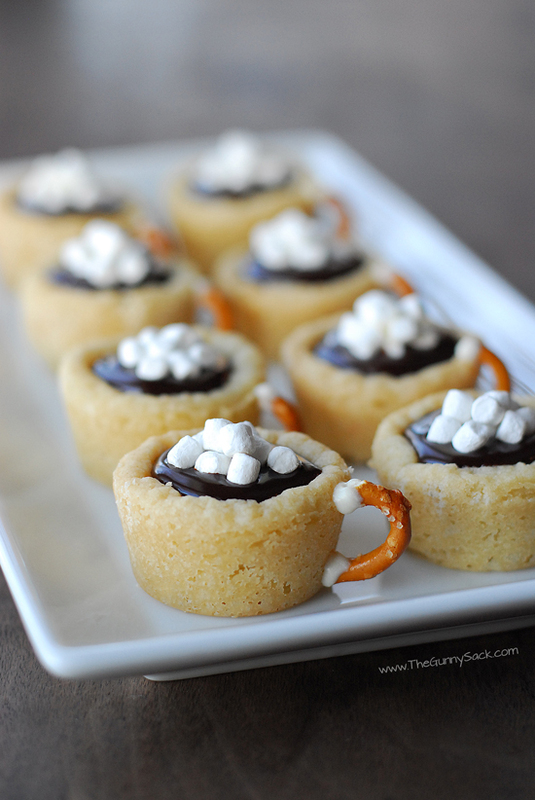 These Hot Chocolate Cookie Cups are perfect for cold winter days. I made them for the first time in the Pillsbury Test Kitchens! I first imagined making these cookies at the beginning of December. I was doing a little brainstorming about recipes to make in January and February. What came to mind was cold weather and hot chocolate. I wanted to try making a hot chocolate cake, hot chocolate cheesecake and hot chocolate cookie cups so I made a list on my iPhone. Then, when I was at the Pillsbury Test Kitchens and was given the challenge of making my own cookie, I remembered my list and decided to give these a try.